Softway, an agency based in Houston, helps to incubate, develop, and launch GhostCodes, the must-have discovery app for Snapchat. 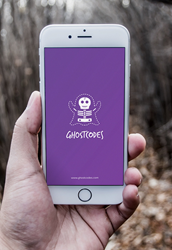 GhostCodes is a free mobile application that gives Snapchat users the ability to create profiles and find people to follow. Since its debut this year at SXSW 2016, where Mazda called it “one of the most innovative apps at the festival,” GhostCodes has quickly grown in user base to become the single most influential discovery app for Snapchat. Under the leadership of Danna and Harrison and with support from the Softway team, GhostCodes is on course to shatter records and eclipse all expectations, garnering accolades from users, bloggers, and influencers throughout the industry. "A brilliantly simple app that lets you find interesting people on Snapchat and helps you get discovered in turn." Softway is an independent agency that creates transformative experiences for businesses through strategy, design, development, social influence, and product incubation. Softway operates two offices—Houston, TX and Bangalore, India—and employs a team of 150+ passionate people who proudly serve some amazing clients. GhostCodes is a free mobile app for iOS and Android that helps Snapchat users answer the question “who should I be following on Snapchat”? With dozens of categories and thousands of interests, GhostCodes helps you find like-minded Snapchatters, make more friends, grow your following, and have more fun on Snapchat.